AHA’s Value Initiative provides leadership to the health care field on the issues of affordability and value. Our Members in Action series highlights how hospitals and health systems are implementing new value-based strategies to improve health care affordability. NEW! We now offer podcasts with AHA members who are using these strategies to improve quality and decrease health care costs. You also can access the case study profiles on our Members in Action landing page. 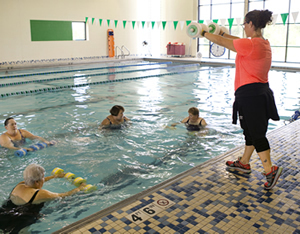 Genesis Health System’s employee wellness program financially rewards employees and their spouses for meeting biometric targets. Now in its tenth year, the program boasts a 95% participation rate and cumulative savings of $53 million. You will hear from Genesis Health’s CEO Doug Cropper and Heidi Kahly-McMahon, vice president of human resources. 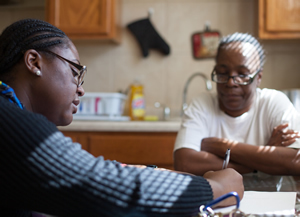 In this podcast, leaders from Chicago's Sinai Health System discuss the impetus for their Asthma CarePartners program, which uses community health workers to help asthma patients lead active lives without frequent visits to the emergency department. They also share lessons learned and future plans. Patients enrolled in the program experienced a 91 percent decrease in urgent clinic visits. 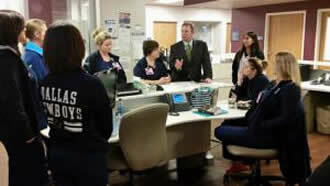 Brigham and Women’s Hospital’s home hospital care program has helped lower costs and readmissions. 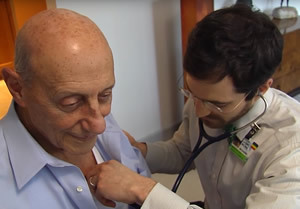 Hear from David Levine, M.D., who leads BWH’s home hospital care program, where patients receive hospital-level care in the comfort of their own homes. Patients in the program experienced fewer clinical interventions, more physical activity and comparable patient satisfaction scores as those being cared for in the hospital. In 2015, Geisinger Health System piloted a patient refund program to encourage criticism, inviting patients to alert staff of areas they could improve. The effort is part of the system’s ProvenExperience® program, which includes other initiatives, such as leadership rounding, uniform standards and respectful interactions with patients and families. 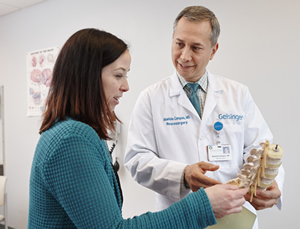 Hear from Jonathan Slotkin, M.D., director of spinal surgery and medical director of Geisinger in Motion, the system’s digital patient experience initiative.